Gel Covering: Select:Gel Uncovered - skin softening.Gel Covered - when callusing is not an issue. The gel straps help in some measure to alleviate problems. I’ve been suffering with pain on the ball of my foot towards the little toe, particularly after walking and the gym. This has helped greatly. Sometimes helpful, sometimes uncomfortable: a stop gap while waiting for orthotics to be made. Seems appropriate for what I needed. Gel underfoot pad, excellent padding and relief for my foot. Need to be sure that the extra padding does not make your shoe too tight, thus restrict your toes. I tried many remedies and the NHS Podiatrist recommended these and lo and behold they work!! As title says I have recently bought these, prompt service and the product does what it says on the tin, so to speak, to early to comment any further. I'm 6 foot, 16 stone and run marathons. 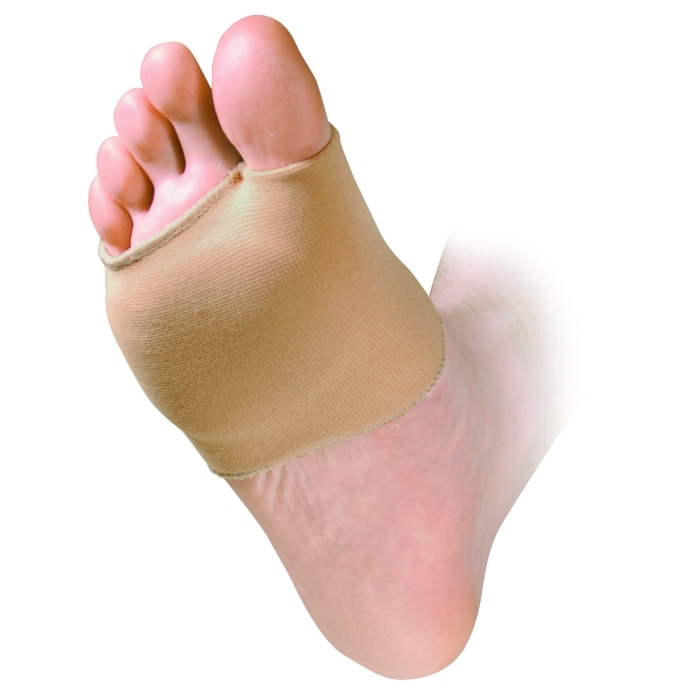 This product is ideal for the support I need for that particular part of the foot, as I put a lot of weight through the front of my foot. Gives me confidence to put the miles in. Cannot recommend the product more. The balls of my feet had become painful this year walking the golf course and I had taken to cutting foam shapes from camping mat as insoles. But these would only last one round. Now I know the problem and these Gel straps are the solution. The strap is a good design and keeps in place on the foot. Really good and quick service. Delivered within 48 hours of placing my order. These are secure and very comfortable. Obviously high quality material & construction too. The only reason I didn't give 5 stars was that I find I can only wear them with looser fitting shoes/boots as they take up a lot of room. Recommended.